For the past three days I have been using Merry Band Beard Oil ‘Forest Fresh’ Beard Oil. 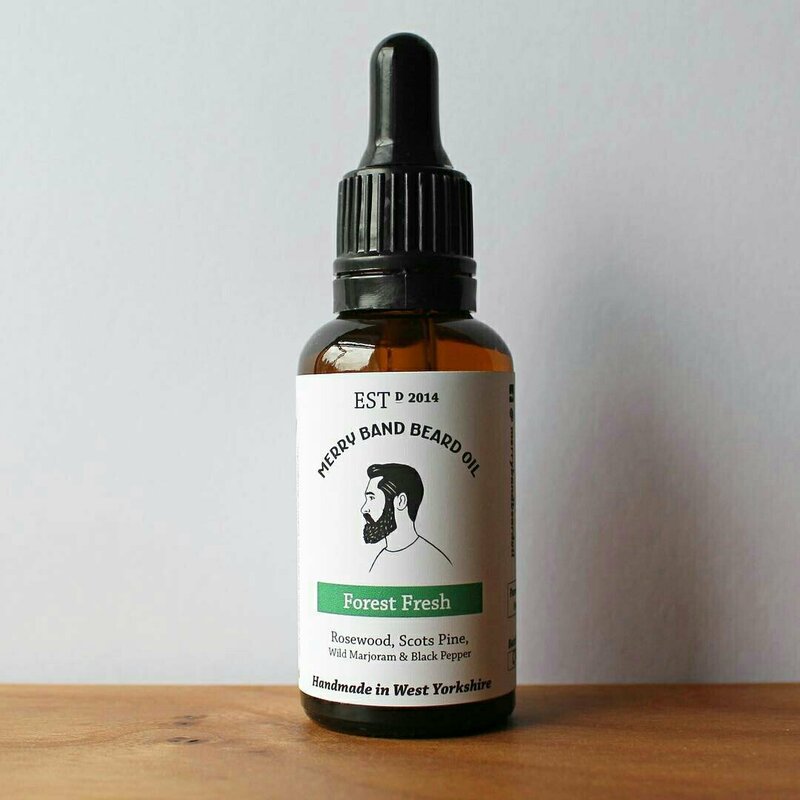 The Merry Band Beard Oil ‘Forest Fresh’ Beard Oil is available from their Etsy shop as a 10ml for £6.99 or a 30ml for £13.99. You can keep up to date with Merry Band Beard Oil on Facebook and Instagram. Merry Band Beard Oil Welcome! Merry Band Beard Oil was started by me Tom Rowlinson in 2014 and has since been used by gents all over the globe to soften & tame their unruly beards while caring for the skin underneath. The ingredients are 100% natural and of the finest quality. There’s none of the nasties found in some beard brands here and you can always be sure you’ll receive fresh product as I only make small batches.